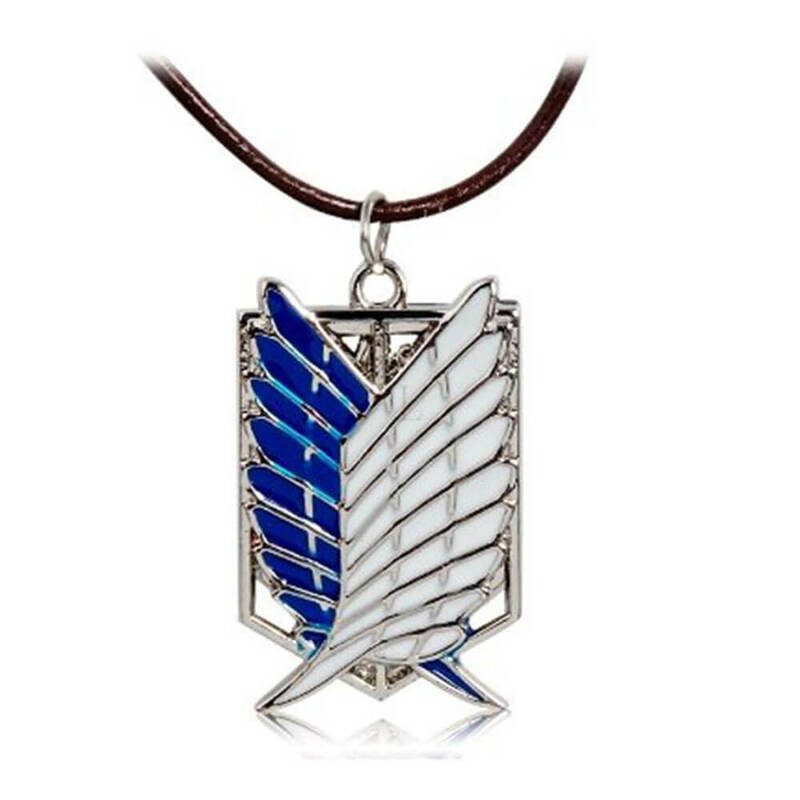 Shingeki no Kyojin Accessories That Any Fan Would Want~! 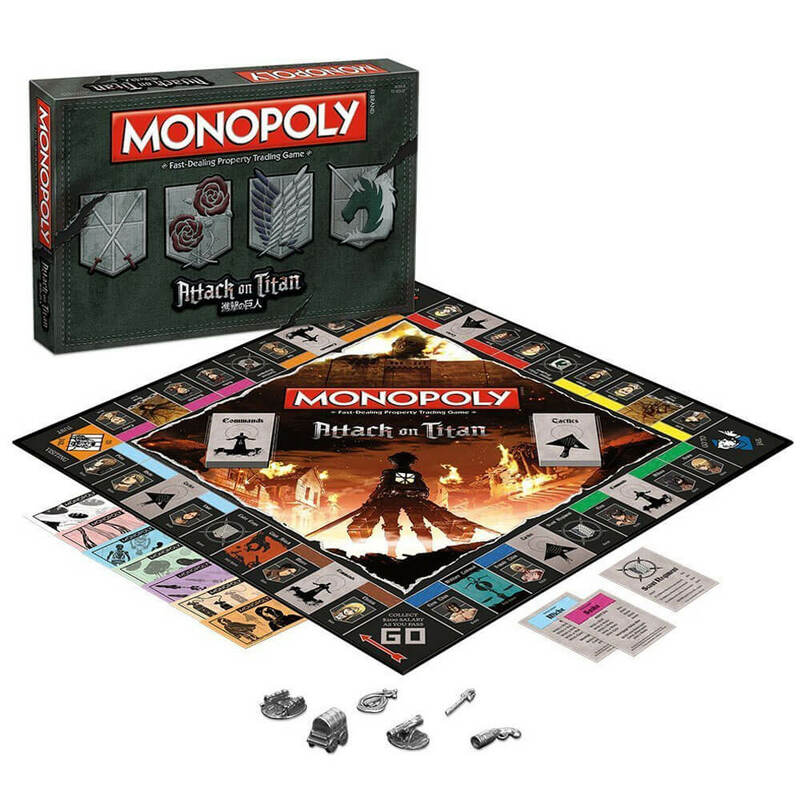 With Season 2 currently airing, be sure to order these fantastic curated Attack on Titan gifts to show you’re a fan of the famous anime! Don’t forget you can sign up for FREE SHIPPING on Amazon! 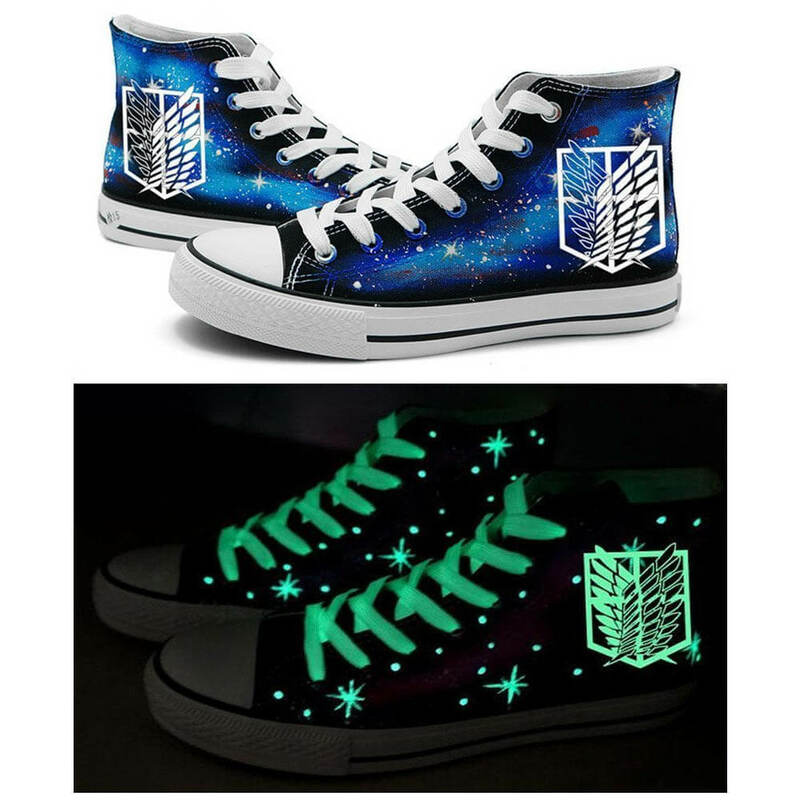 Strut in style with these cool glow-in-the-dark high top shoes! Made with high-quality canvas, these shoes come in US shoe sizes (male & female) and are great to wear during the day or night! The high top design gives your ankles better support compared to regular sneakers. Proudly display your love for the show with this soft, heather green shirt by Ripple Junction! 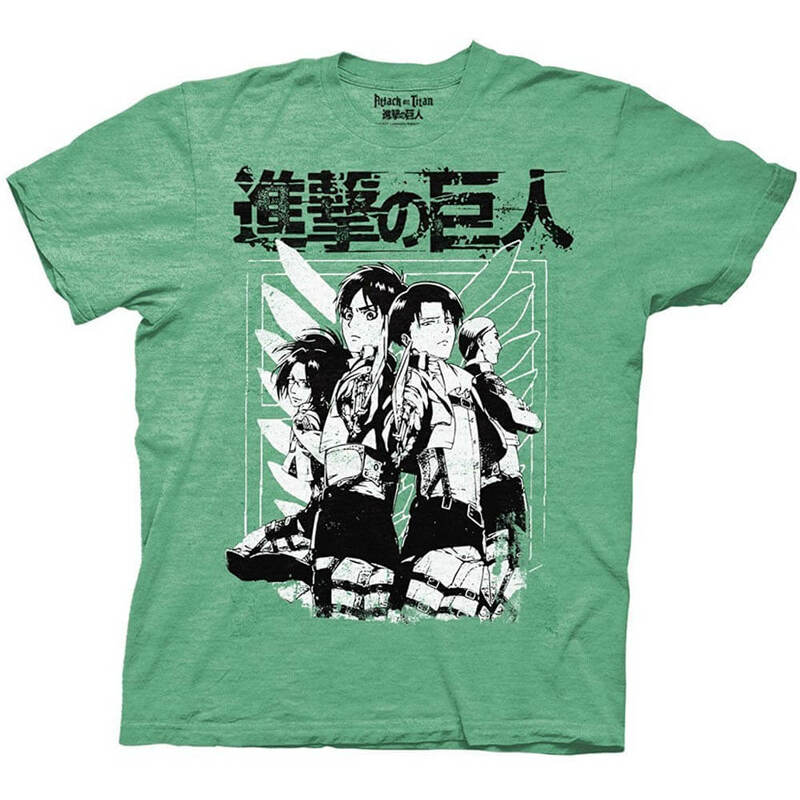 This shirt is 50% cotton/50% polyester and an officially licensed Attack On Titan T-Shirt. The shirt is only available in US men's/unisex sizes and fits true to size. Complete your cosplay with this stunning necklace depicting the Survey Corps and Wall Maria emblems! You can wear it as a necklace or replace the chain with a safety pin and pin it to your cosplay outfit! 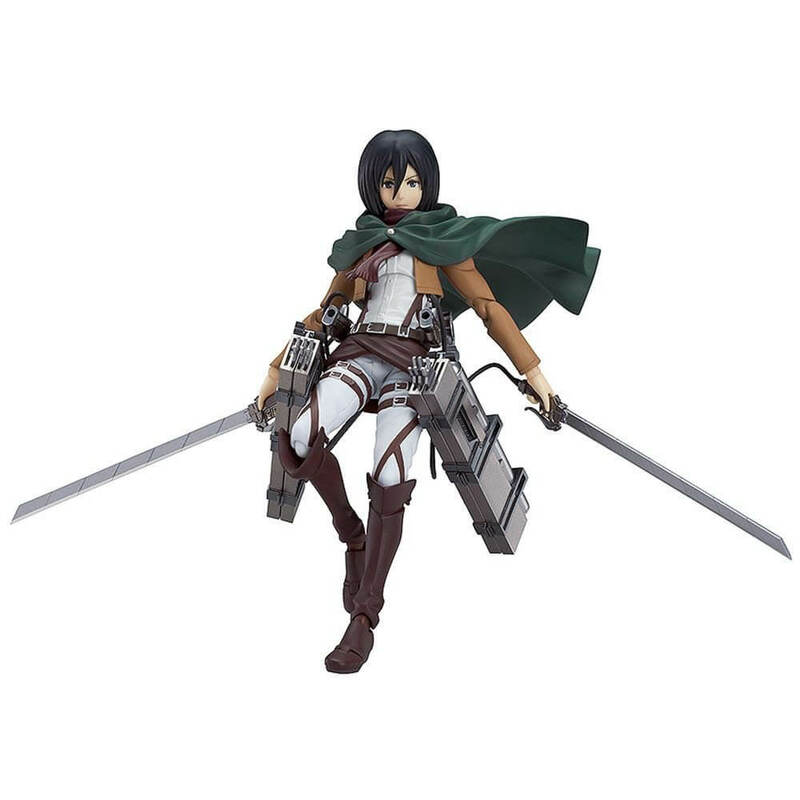 Imported from Japan, this beautiful, detailed Mikasa Figma is a must-have for any fan of the franchise! It comes with three different expressions, along with dual blades, equipment, and smoke effects! Read the manga that started it all! Winner of the 2011 Kodansha Manga Award (Shonen) and nominated for the prestigious Osamu Tezuka Cultural Prize for 2012. 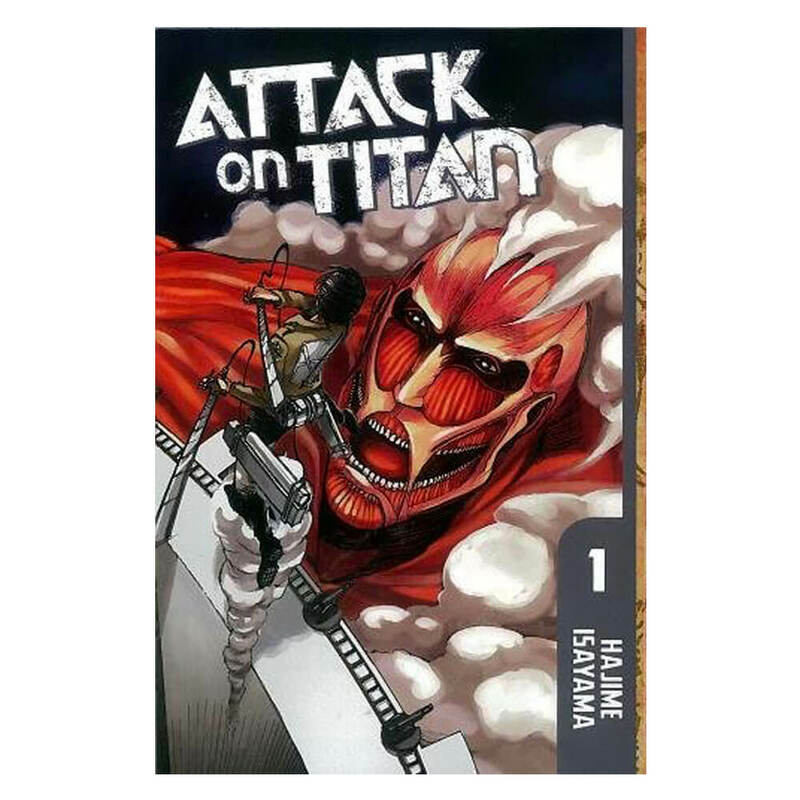 This paperback manga is also available on Kindle & comiXology! Training in the cold weather to fight titans? Take one of these! 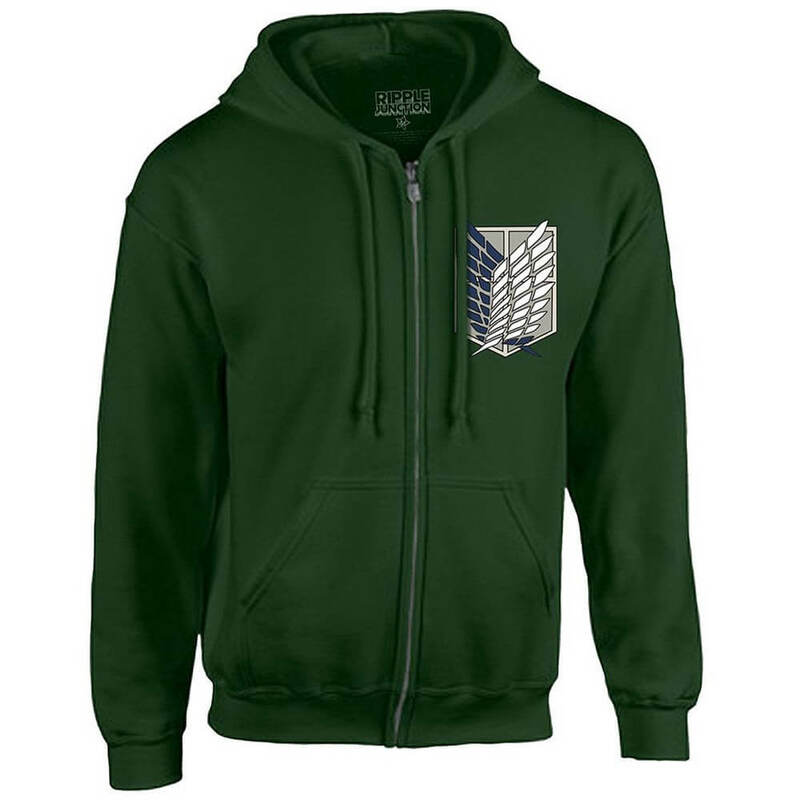 This zip-up deep green hoodie is machine washable and 50% cotton/50% polyester. It comes in two different colors: green or black, with the Wings of Freedom emblem imprinted on the left side. 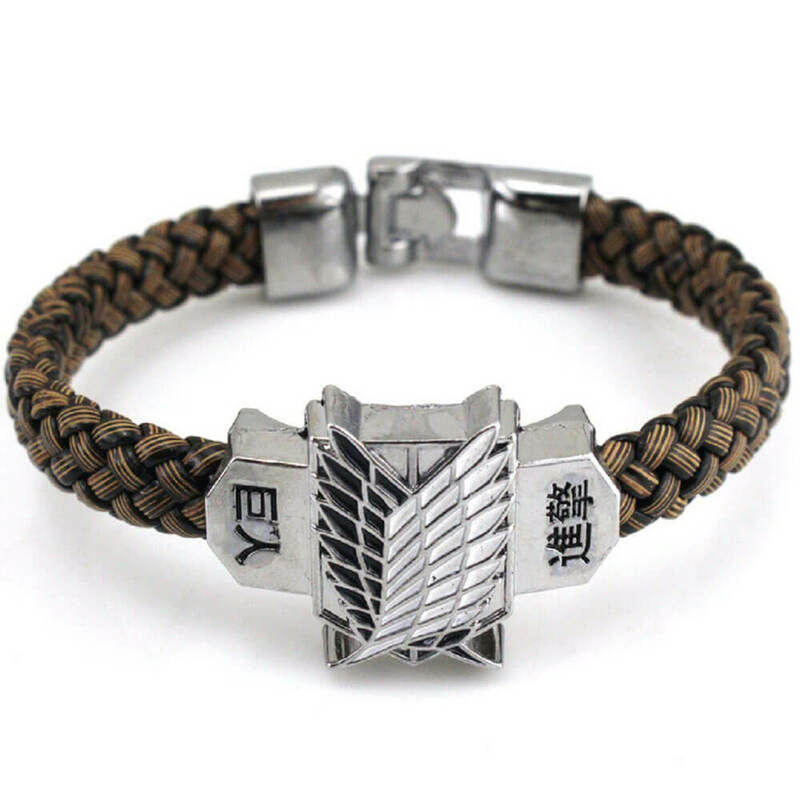 This bracelet is made of wicker material and braided with the Survey Corps emblem in the middle. The length of the bracelet is roughly 8 inches long and has a lobster clasp. Have friends who haven't seen the anime? Why not gift them with the first season of the anime! 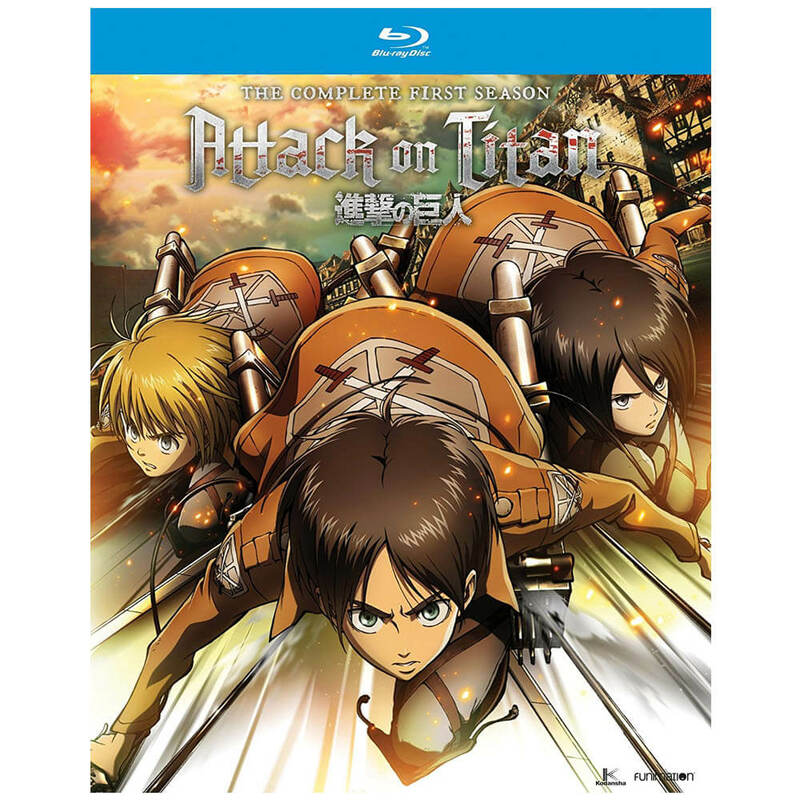 Licensed by Funimation, this Blu-ray box set includes all 25 episodes on 4 discs, commentary and textless openings and endings, and comes in English dubbed and English subbed.